KALI wants to take us beyond our conventional world into the boundless, non-dual mystery and beyond our story and current attachments. As a brilliant explosion of the Great Mystery in the abode of the Absolute we need to overcome the terror of our ego bound existence and unite this energy into ourselves making the leap into boundlessness. To resurrect and celebrate the Divine as Feminine as the "Heart of the World" and the feeling/devotional Self as our Soul. Scholars and Historians everywhere are now unearthing evidence in every tradition, memories of a powerful female Deity, both creator and destroyer, fearsome and nurturing, beautiful and limitless. The effect of this recognition and its spreading through Collective Consciousness is bound to be revolutionary. If this sounds like you, contact Christina to set up a free, 30 minute, introductory Skype consultation to explore what the KALI APPRENTICE program might accomplish for you at this point in your life. Please provide your birth data along with your inquiry: birth date, place, and time, exact to the minute. Christina Richa Devi has dedicated her entire life to study and teach ancient healing systems to empower self transformation. She has worked with thousands of clients since the mid seventies in many countries and diversified settings. 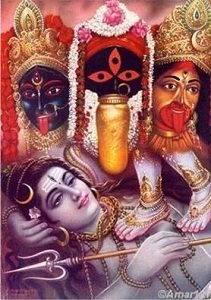 Being a devotee of KALI, she is by the nature of her own karma ongoingly catalyzing transformation, helping clients align with a more honest self perception, finding and actualizing their true path. Christina's role is to accompany your journey for a time, while you discover self liberation in your own truth as you choose/co create you own reality and co author the new world story for the benefit of all sentient beings. 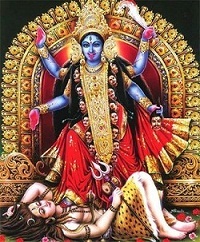 Great Goddess Kali, the One and only one, who resides in the Ocean of Life and in the Cremation Grounds that dissolve the world. 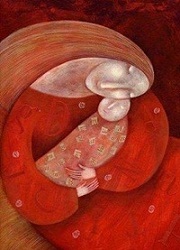 We focus our energies on you, may you grant us boons and blessings.